This blog post is an introduction to the Modernization of Finance and the transformation needed in the CFO Office to achieve this. It also provides an overview of the content of other blog posts on this subject. Finance modernization: What it is and how to get started? Open any finance-related magazine today and you will find at least one article on the modernization, transformation or evolution of finance. One thing is certain – the modernization process that is now sweeping through the sector will eventually touch every finance organization and department. This is why I think it is time to dedicate an article to this modernization and to paint a more concrete picture of what it entails, as well as answering some important questions. Why is finance modernization needed? New IFRS standards, such as IFRS 9, 15, 16 and 17, increasingly demand detailed data collection, calculations and reports, which require strengthening your data governance. Modern CFOs must ensure that their data is at all times consistent, accurate, reliable, up to date and accessible — regardless of its source — so they can provide all stakeholders with reliable (financial and operational) information whenever needed in a time- and cost-efficient way. And as you can see below, the breadth and depth of responsibilities is rapidly expanding in the typical finance office. What are the benefits of modernization? * 23% of the population are true innovators and Europe is the most conservative to new technology. What are the steps in the journey towards modernization? How can technology support modernization? To become a valuable business partner and meet changing expectations, modern finance professionals need to have the right skills and supporting technology. Most finance organizations currently execute their entire planning and control cycle using multiple, separate applications, each with their own data storage and definitions and often with additional spreadsheets. Such an approach is problematic for a variety of reasons: data consistency cannot be guaranteed, data sources and changes cannot be traced, and progress cannot be managed or tracked. Moreover, the risk of human error is considerable. 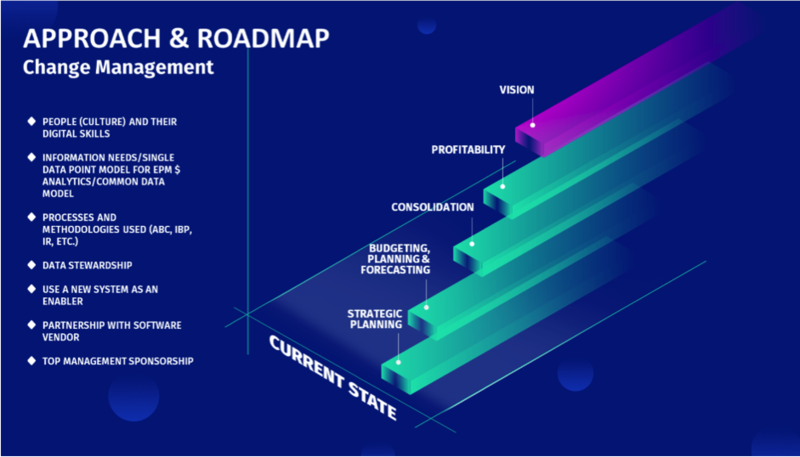 This can be solved with a unified solution that allows finance professionals to provide analytics and insights for all the steps in the planning and control cycle. For example, a finance transformation platform for Enterprise Performance Management (EPM) combines in-depth domain expertise, professional workflows, intelligent built-in financial and analytical functions. With a platform owned by finance professionals, it is also easier to bridge the gap between finance and IT. Eventually the financial close process can be shortened by days or even weeks and the costs of the IT infrastructure and maintenance will drop considerably resulting in a lower total cost of ownership. Gary Simon, the founder of the Modern Finance Forum (FSN), expects data governance to become the most important function of finance. I fully agree. 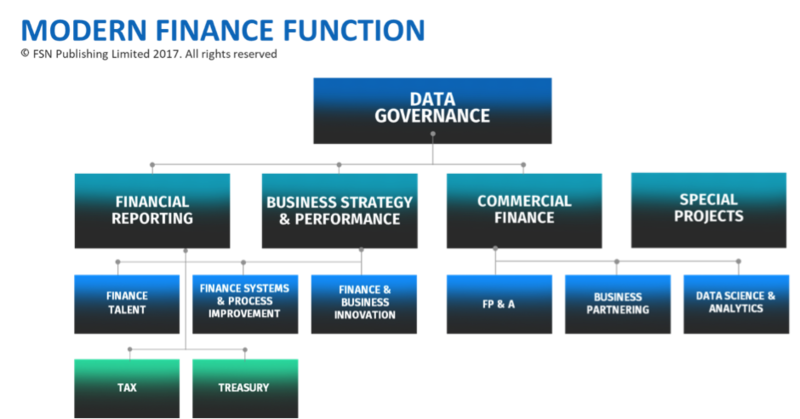 An information-centric data hub supports the finance function in being able to improve data governance in an effective manner, offering centralized storage of all the data needed for the complete planning and control cycle and allowing the rapid provision of information to all stakeholders. Financial and operational data is captured at a granular level in the data hub to provide business partnering to other departments with drill down capabilities and a complete audit trail. A Single Point of Truth is finally realized allowing financial and operational data to support the financial close, compliance, financial planning, analytics and performance management on an enterprise-wide scale. Modern technology enables finance to collect, process and share the growing amount of data for enterprise-wide collaboration in order to automate the past and drive the future. Innovating your way to success requires a holistic approach and integrated thinking. As research has proved, companies that embrace this approach as a true innovator will benefit the most. Now is the time to create your company’s vision and roadmap towards executing modernization.